These interactive brochures are the basis of how one can hide in downtown Vancouver. Folding the panel open reveals an animated scenario of a mysterious stranger blending further into the background. 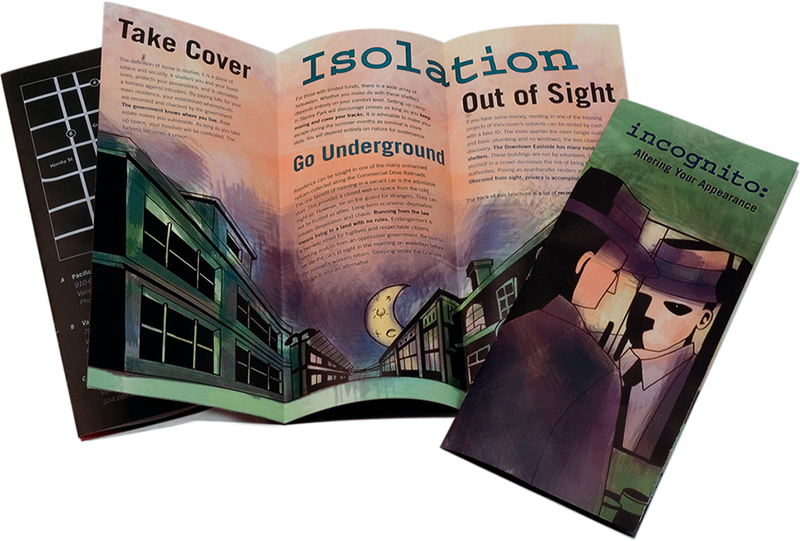 The strange subject matter is expressed by the saturated illustrations and the slanted layout treatment of the type. © 2015, Rainbeau Creative | Beaubien. All rights reserved.